If you are using TRedFilterCafe, you will encounter boot diskless failed. TRedFilterCafe is based on WinpkFilter driver. So we need to do some changes in registry. Boot the master PC with HDD. 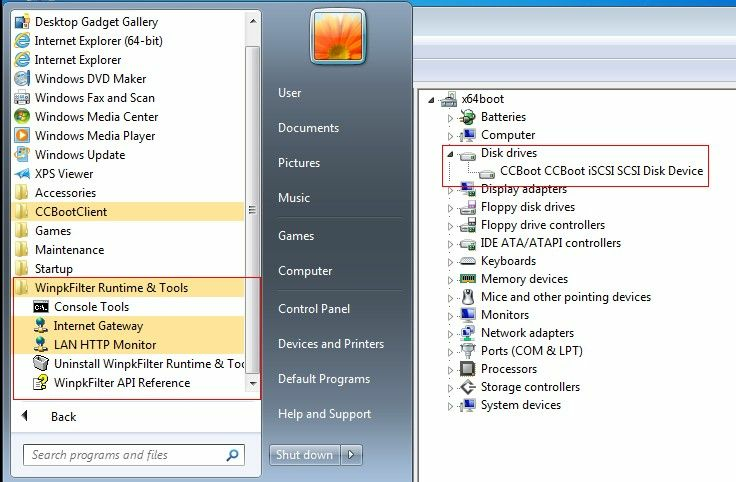 Note: If you are using CCBoot v3.0 latest version (server and client are build 20140827 or later), you do not need to modify the registry any more. More information about TRedFilterCafe and WinpkFilter driver please refer to this. Thank Dursun Sarıahmet for providing this information.